Pink and pretty or predatory and hardened, sexualized girlhood influences our daughters from infancy onward, telling them that how a girl looks matters more than who she is. Somewhere between the exhilarating rise of Girl Power in the 1990s and today, the pursuit of physical perfection has been recast as a source—the source—of female empowerment. Peggy Orenstein promotes Cinderella Ate My Daughter: Dispatches from the Front Lines of the New Girlie-Girl Culture. Peggy Orenstein discusses Cinderella Ate My Daughter: Dispatches from the Front Lines of the New Girlie-Girl Culture. Peggy Orenstein, Waiting for Daisy. Peggy Orenstein is currently considered a "single author." If one or more works are by a distinct, homonymous authors, go ahead and split the author. 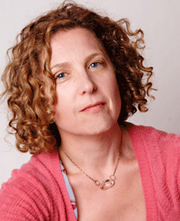 Peggy Orenstein is composed of 2 names. You can examine and separate out names.